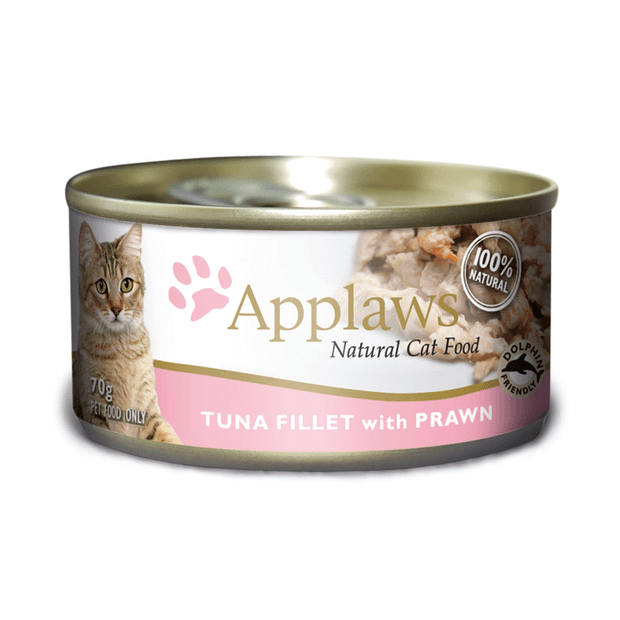 Applaws Tuna with Prawn Tinned food is a nutritious and nautral meal for your cat, containing only four ingredients. This wet food contains delicious prawn and tuna in a rich fishy broth with rice. This food is a natural source of taurine, and is made with a high meat content. Our kitten loves this food alongside her Taste of the Wild dry kibble (then again she loves all Applaws wet food). You can actually SEE the meat and it smells so fresh - no gross smell, just clean seafood.